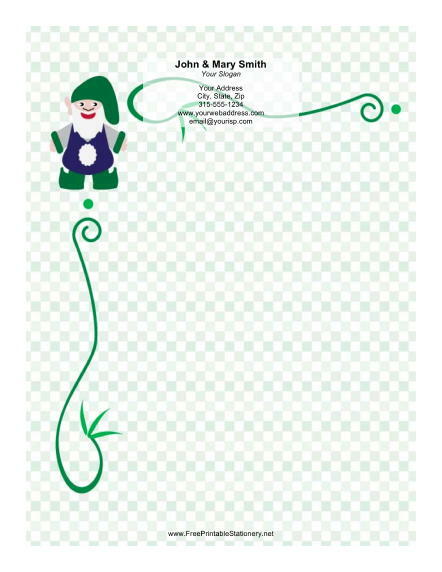 An elf wearing a floppy green hat and a border of green vines is featured on this stationery design. A subtly checkered gray background gives the paper a finished look. This Christmas border is a great choice for sending holiday greetings to family and friends.